Almost everything you need to know about the best bicycle lights on the market. There are only a handful of things worse than getting caught out in the dark on your bicycle without any lights to guide your way or keep you safe. Sadly, as the nightly news tells too many of us every time we sit down for dinner, there are too many of us out there riding without any lights when the sun goes down, and that’s a big contributor to the amount of accidents that happen in our community. The smartest way to prevent these kinds of accidents from happening in the first place is to avoid them all together, and the most appropriate way to do that is to get your hands on the best bicycle lights you can find. You’re going to come across all kinds of lights when you’re getting ready to buy the best bicycle lights available, but all of them can be neatly broken down into a handful of categories. You have your safety signals (like you would on your vehicle), you have your spotlights and navigational lights, you have your strobes, you have your high output systems, and you have your LED setups – and that really only begins to scratch the surface. The most popular lights (by a landslide) would have to be the signal and navigational lights. 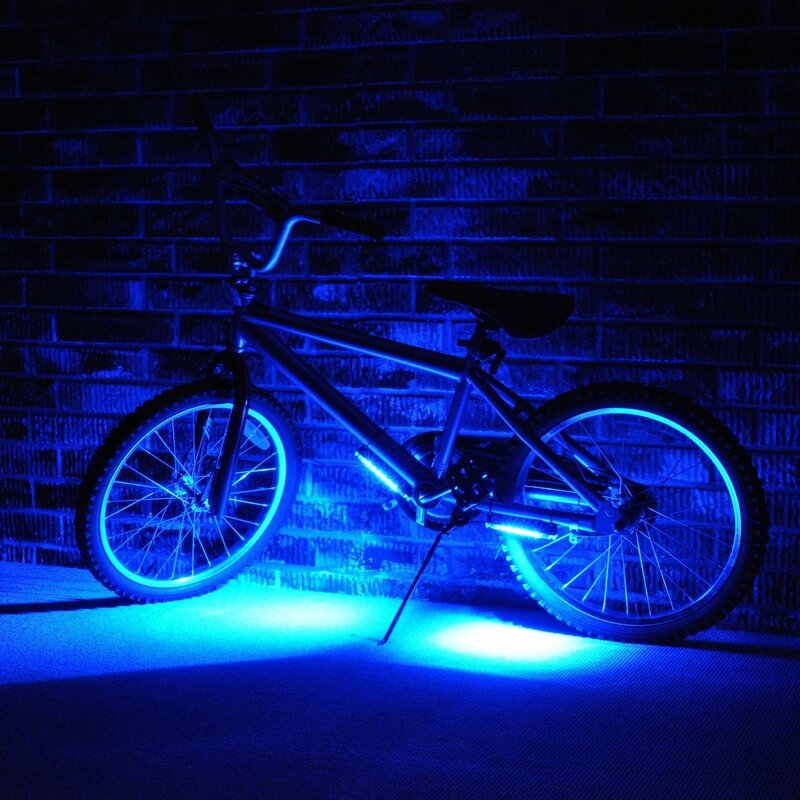 Strobe lights can be a lot of fun – and are super safe, especially when attached to your person and not just your bike – but turn signals, break lights, reverse lights, and headlights ALL take precedent over pretty much anything else. If you’re going to start the search for the best bicycle lights, you should probably start with nav lights or safety lights. Everything else can be added later! ​Cycling in low light conditions is a risky endeavor. So bicycle lights are now of utmost importance to the cyclists. When riding on the unlit bicycle trails, lights become essential. CatEye Volt 1200 Headlight is a top selling rechargeable headlight made by a Japanese company. It claims to give a bright output and through its 2 super bright LEDs. The unit is well built and speaks visually at nights. The light operates in its 5 modes: Normal, Dynamic, Hyper Constant, All-night and Flashing. The key feature about this light is that it is bright and spreads out on the road. A customer who bought his light points out that the brightness of this bicycle light is close to a car HID. It is enough to light up both the lanes of a highway. Like the manufacturer specifies 1200 Lumens is what seems to make this light brighter on the trail. Another exciting thing about this bicycle light is that it has a tight mounting system. It is easy to mount and dismount from the bicycle. With this light on the bicycle, riding on the crazy bumps wouldn’t be a problem. Also the headlight is consistent with power output until the battery completely runs out. With full charged battery one can expect the headlight to last for 4 hours. CatEye Volt 1200 Headlight has slim and good looking design which nicely sits on any bicycle. It consistently glows up to 4 hours without the indication of the battery going low. The best setting to use this bicycle light is to run it in the normal mode. The mounting system of this bicycle light is one of the best features of this part. It stays tight and secure on the bicycle when riding on the bumps. 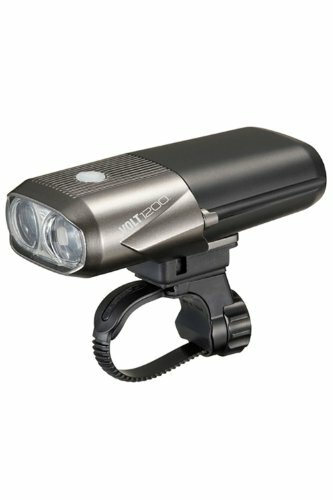 Many bicycle headlights are comfortable while in flash mode, but CatEye Volt 1200 Headlight works effectively even in the hyper constant mode. The long battery life is another great feature of this bicycle headlight. The light holder is secure and does not rattle on a bumpy ride. ​Customers have found this bicycle headlight really useful. One customer points out the CatEye Volt 1200 Headlight as fantastic light for night rides and others appreciate about its brightness. A happy customer says that having this light on his bicycle allows him to see everything on the road. There are also reviews that explain how the headlight works efficiently with the power consumption and battery backup. About 83% of the customers on Amazon.com have rated the product with 5 stars and 11% of customers with 4 stars. This shows a great response from the customers. The overall rating of the product is 4.8. CatEye Volt 1200 Headlight is an excellent buy for someone who is looking for above average quality of bicycle light. The price of this headlight is really reasonable compared to the quality of product. This has every reason to be your best buy for your bicycle. Overall, CatEye Volt 1200 Headlight is a fantastic bicycle headlight that provides wide, bright light for viewing the objects clearly at night. It is much brighter than other headlights available in the same price range. It is built for quality and has a beautiful finish to it. Moreover, it doesn’t need an external battery to power it ON. It has a rechargeable battery that holds power for a long time. When the power is low, LED indicator shows up and it needs to be plugged in for charging.